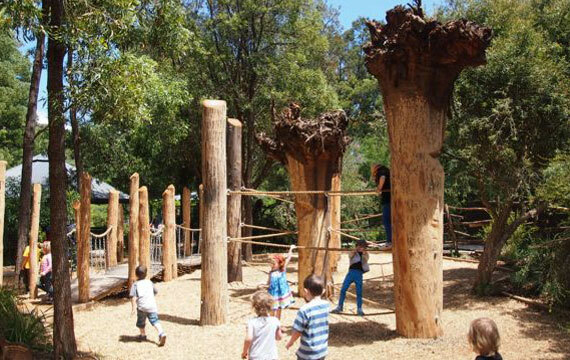 There is a growing realization that outdoor play with natural materials is an essential ingredient for a child’s healthy development. 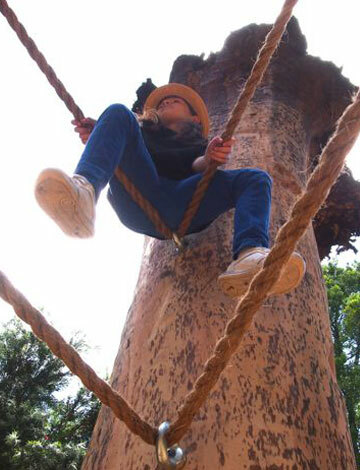 It teaches a range of skills that are otherwise difficult for children to learn in an artificial environment, including balance & gross motor skills, the ability to identify & evaluate risk, resilience, confidence, and social and teamwork skills. 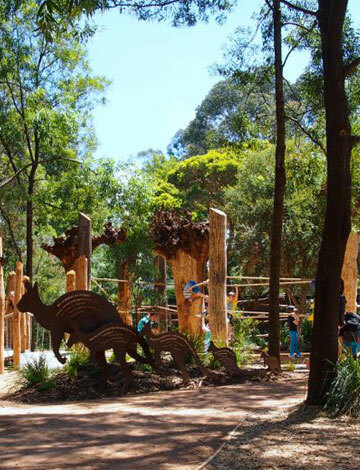 As part of Healesville Sanctuary’s new 2013 Masterplan they seek to be an ‘icon in nature play’ to help re-connect children with the natural environment through a range of small and large play elements and spaces throughout the site. 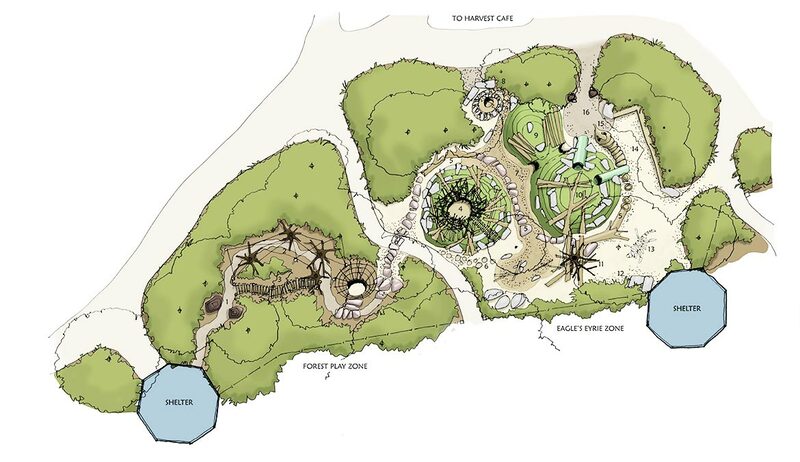 To that end, Green & Dale, working with the Sanctuary Interpretation staff, have been engaged to design a Nature Playspace, within the site. 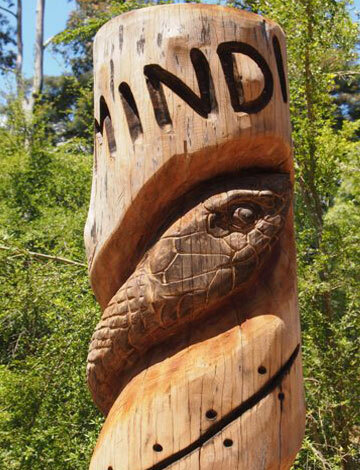 The proposed plan incorporates two play spaces connected by a giant ‘snake’ winding through the site constructed of mudstone slabs, logs, and timber sculptural snake ‘head’ and ‘tail’. 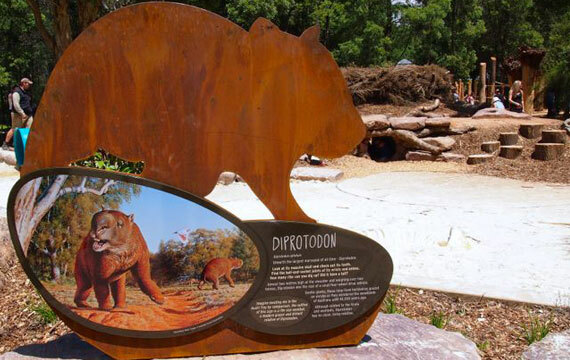 The dominant element of the site is the ‘Bunjils Nest’, surrounded by a dry creek bed, a ‘rock wallaby’ hill, and sand play area with a giant megafauna ‘fossil’ to uncover.